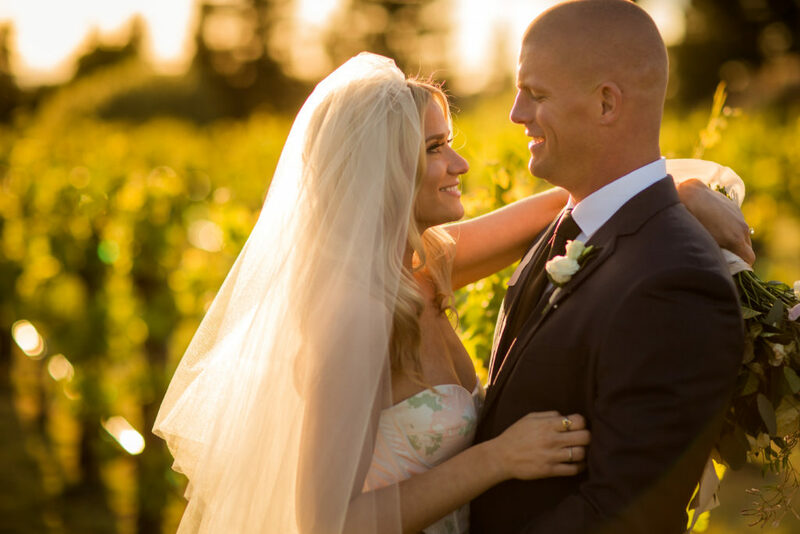 We love seeing our client’s wedding photos, and Meghan and Brian’s were no exception. 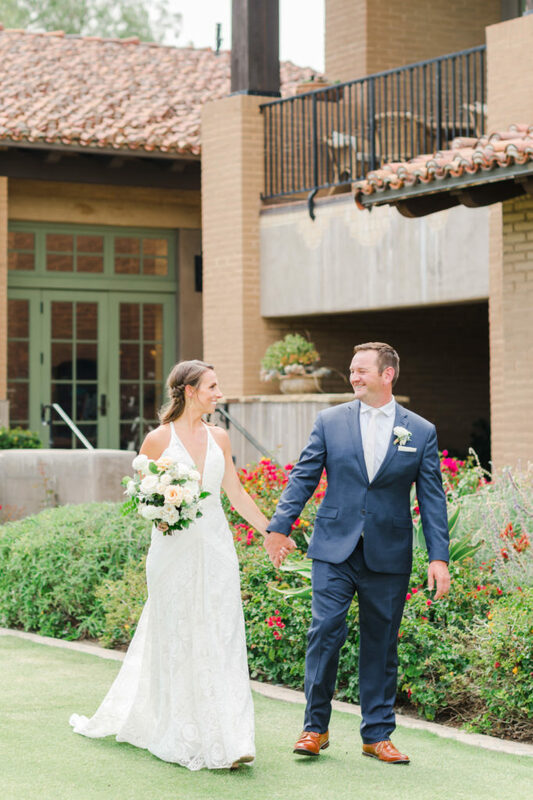 Their San Diego wedding was simply stunning and beautifully captured by local photographer Cavin Elizabeth. 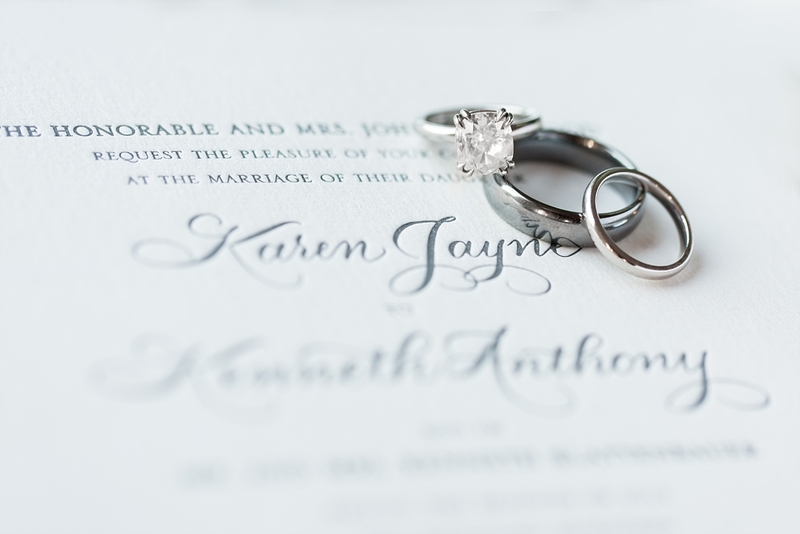 We’ve featured some of our favorite shots of their wedding invitations and wedding day stationery. 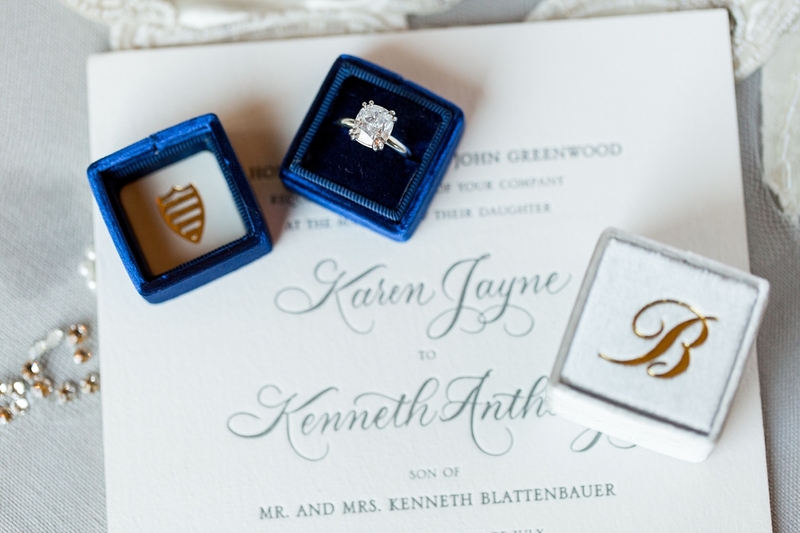 We hope you love their wedding invitations as much as we do! 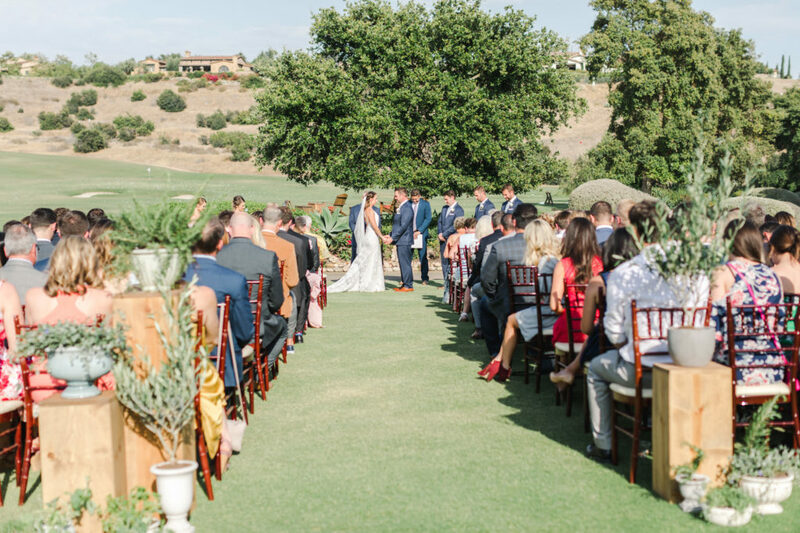 If you’d like to see more of this dreamy wedding, check out the feature on Trendy Bride. 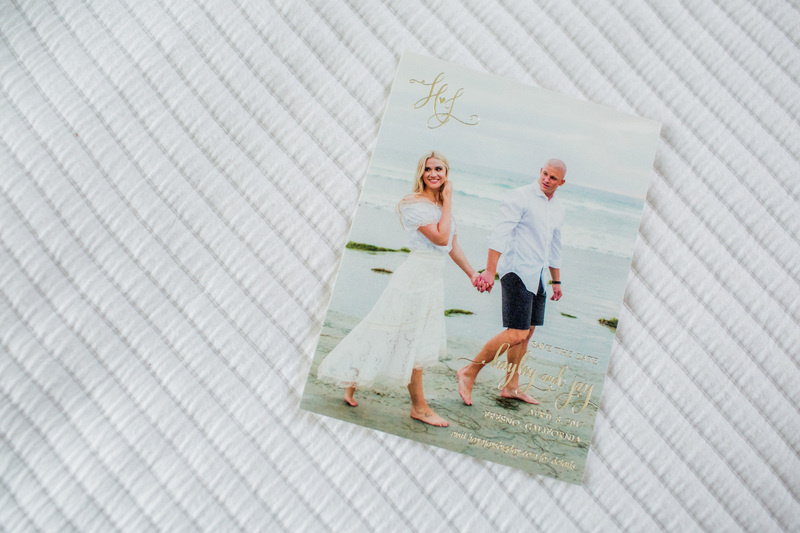 If you’re interested in our wedding invitation design services, give us a call or swing by our La Jolla shop. 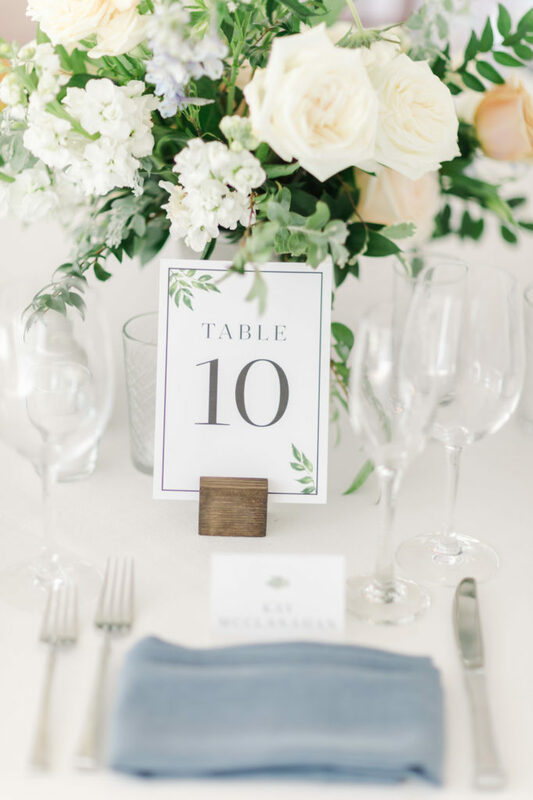 We love to chat all things wedding and paper! 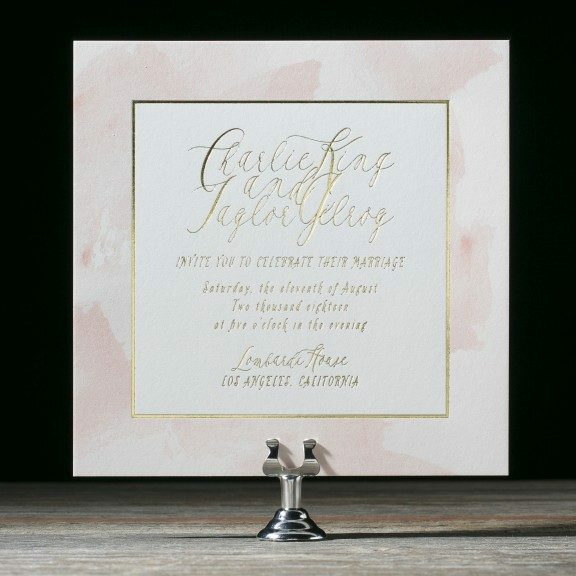 Bella Figura has featured our customization of one of their wedding invitations on their blog! 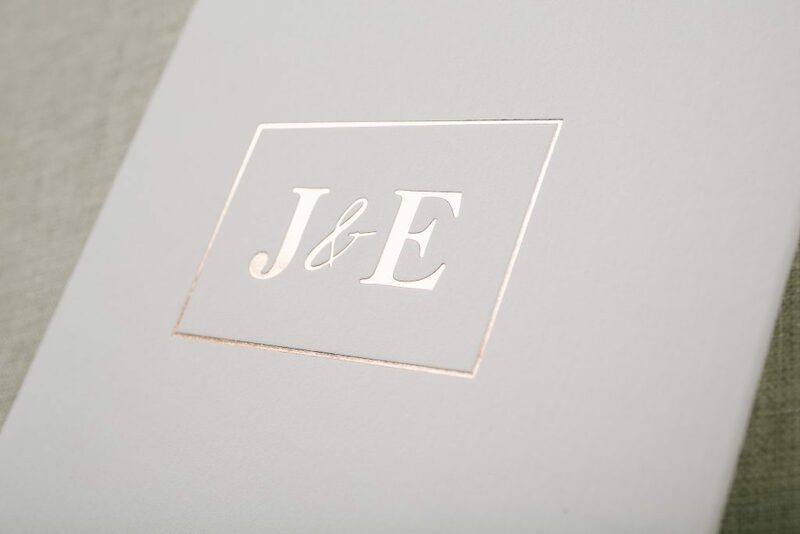 Jamie and Eric started with Bella Figura’s Belsay wedding invitation suite. 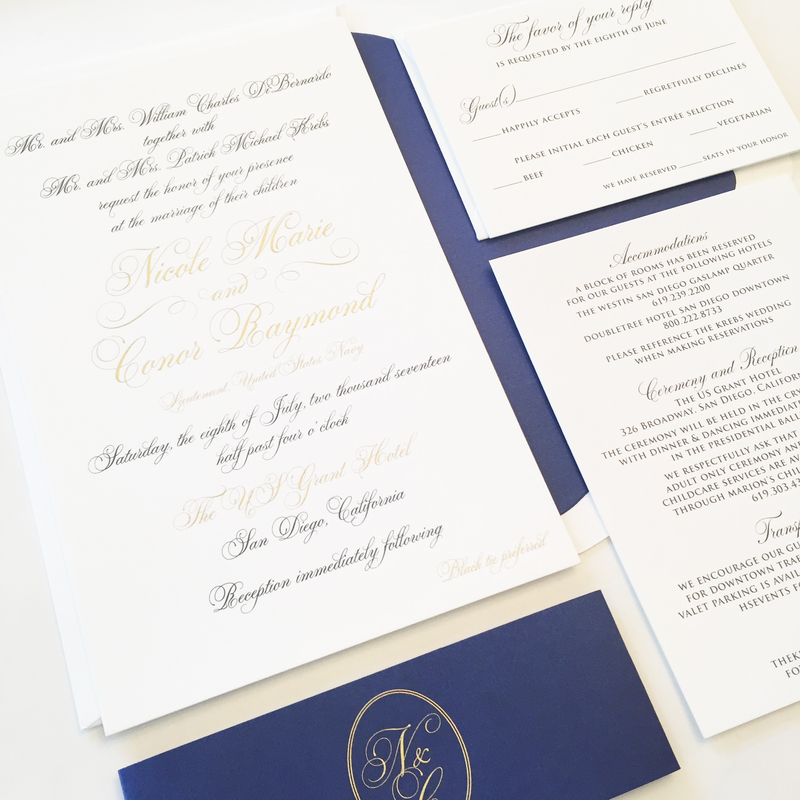 We helped them transition the style of the invitation from romantic garden, to modern and contemporary. 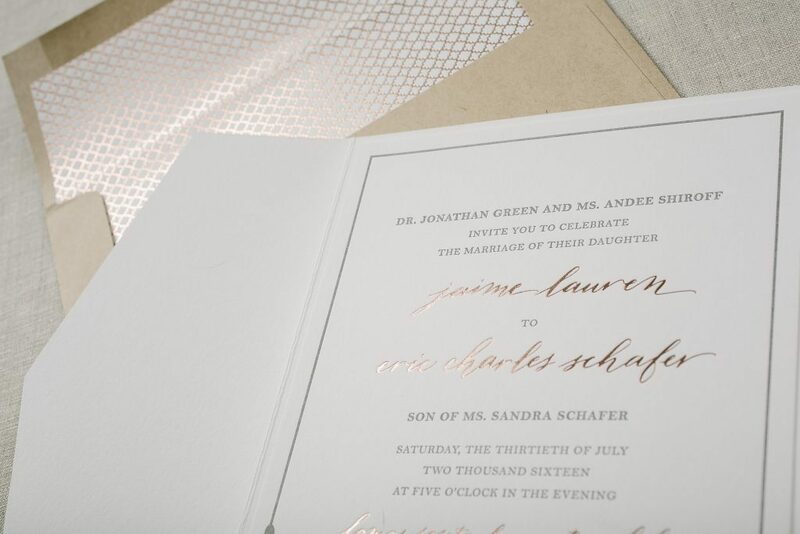 We kept the beautiful rose gold foil and changed the letterpress ink color to pewter. The vine motif and added border were used sparingly across the other pieces in their suite to maintain a cohesive look. 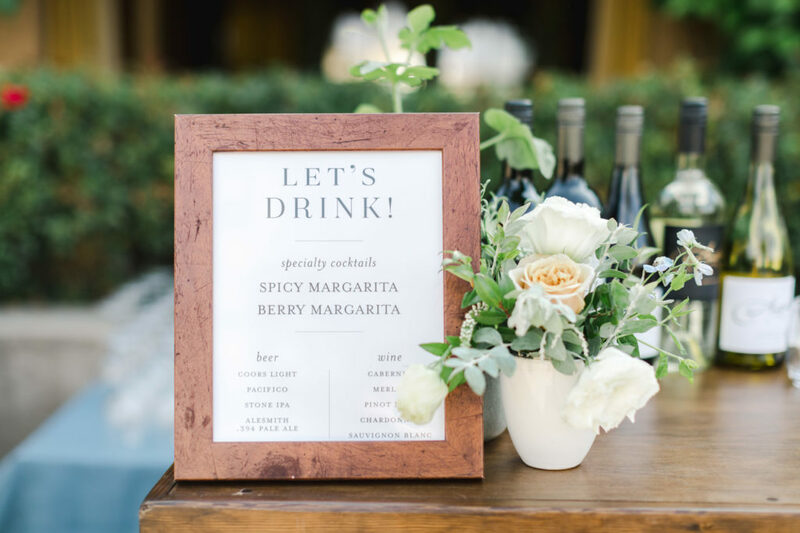 The custom hand calligraphy added just the right amount of creative elegance! 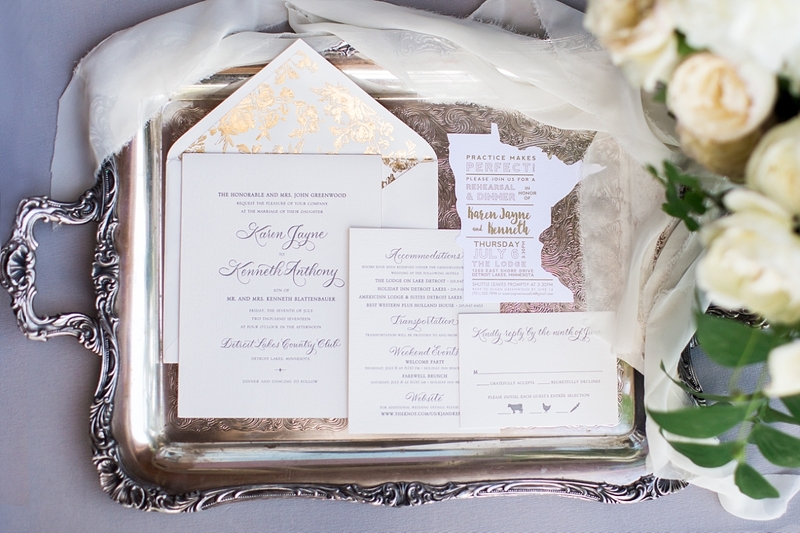 Everything was then packaged in a custom foil printed pocketfold. 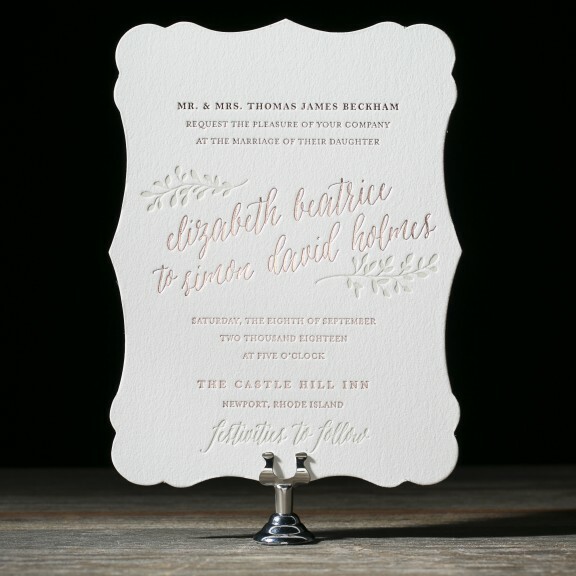 Below is the Belsay wedding invitation as originally designed. The new design is dramatically different than the original. 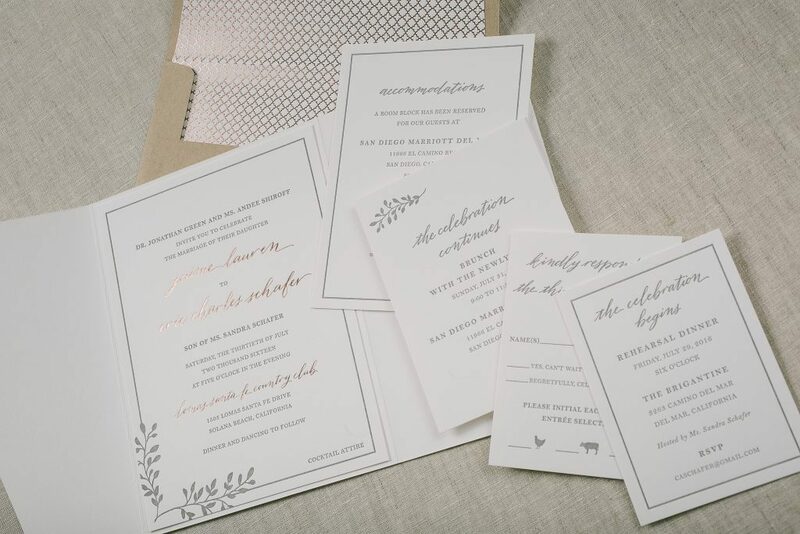 Let us help you customize your dream wedding invitations! 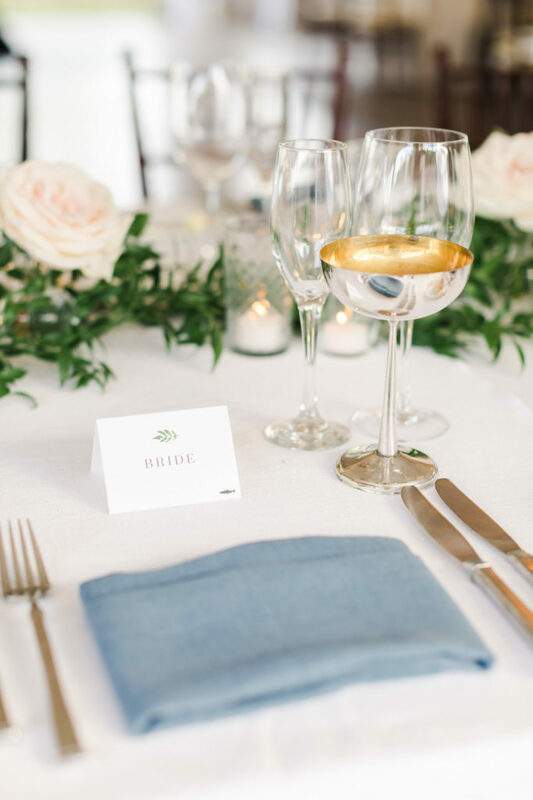 To start, schedule an appointment to meet with one of our creative design consultants. 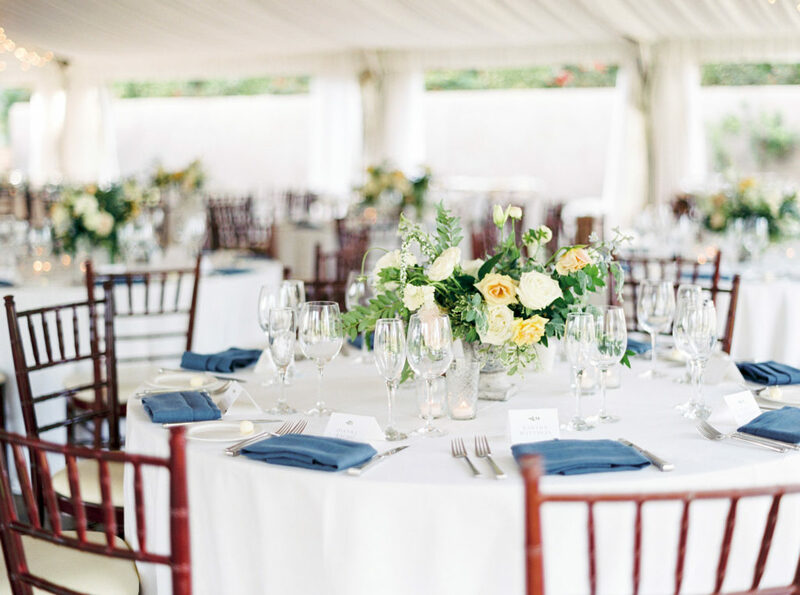 We will walk you through the process and bring your vision to life! 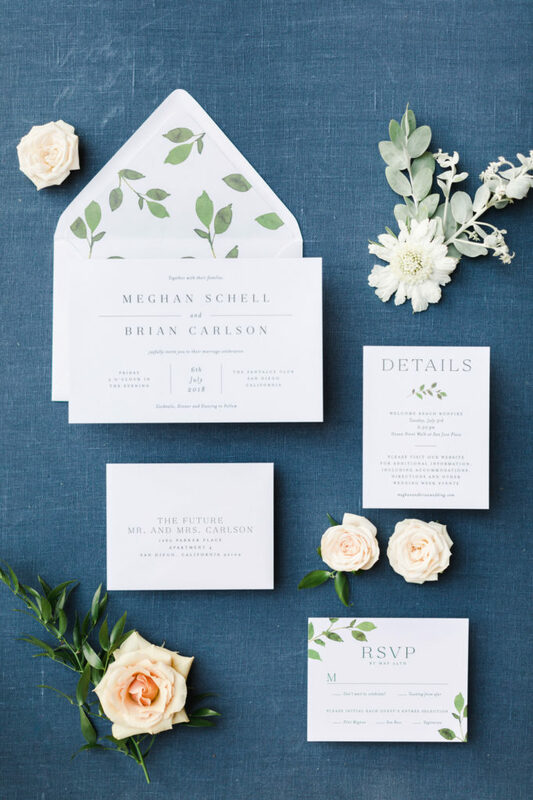 Sweet Paper was recently featured on Bella Figura’s blog for our customization of one of their wedding invitation designs! 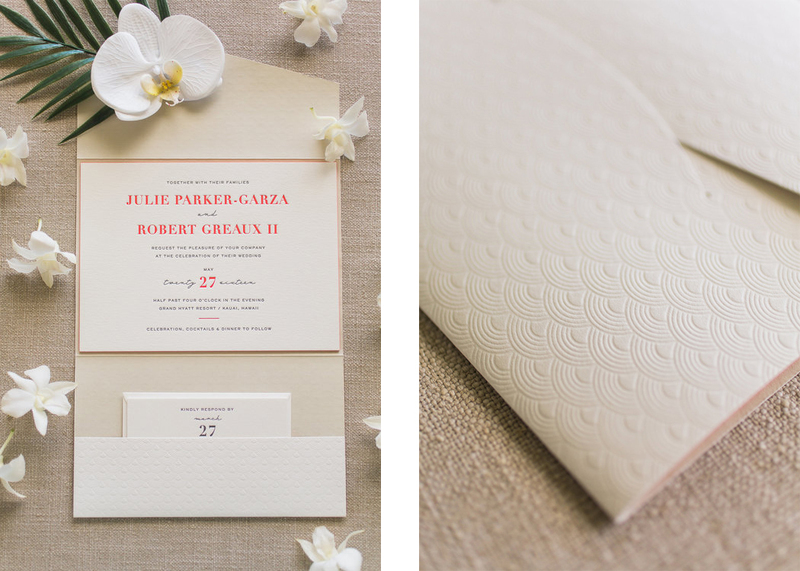 We enjoyed working with this wonderful couple to design beautiful letterpress wedding invitations for their Hawaiian wedding! 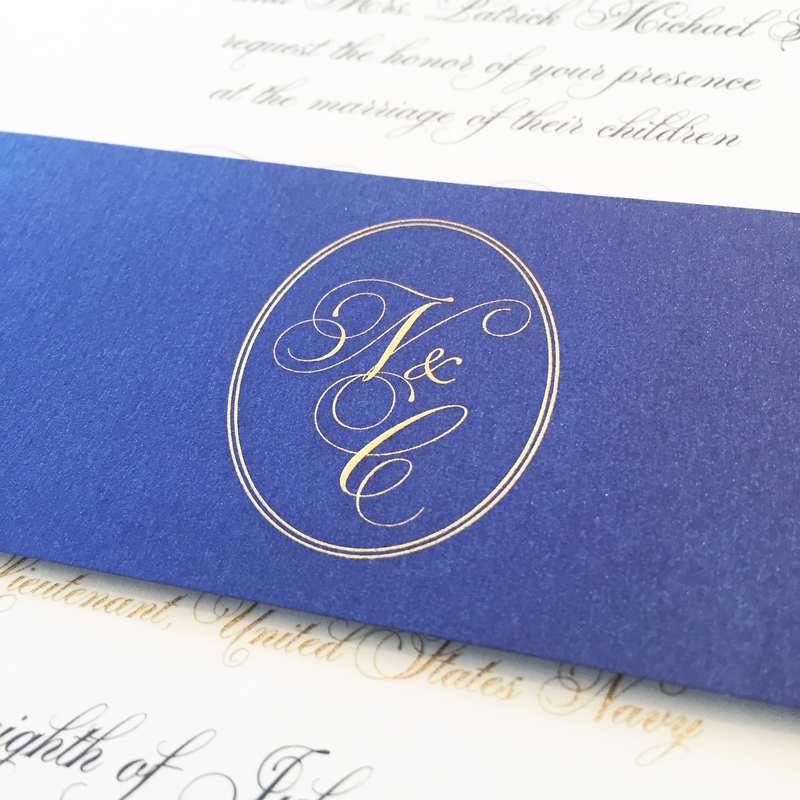 We changed the orientation of the invitation to be horizontal and used charcoal and geranium letterpress ink. 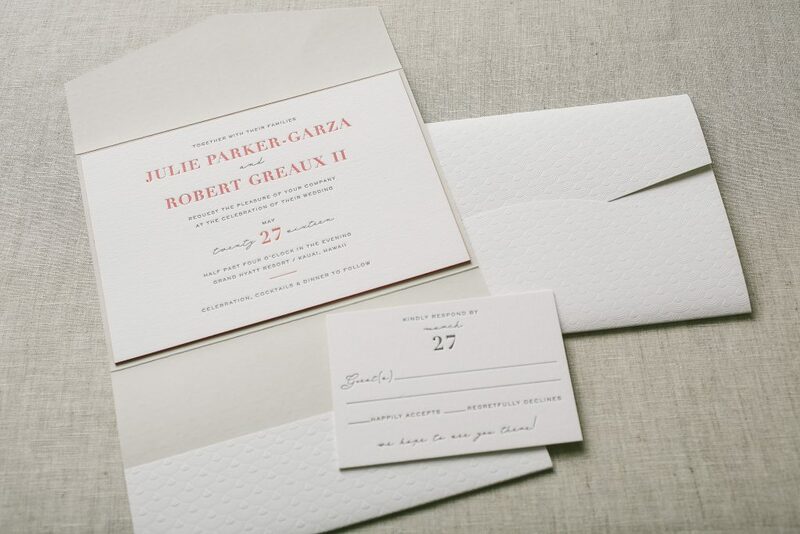 The island-inspired pattern was blind debossed on the outside of the pocketfold and the inside was digitally printed with a flood of pale gray ink. 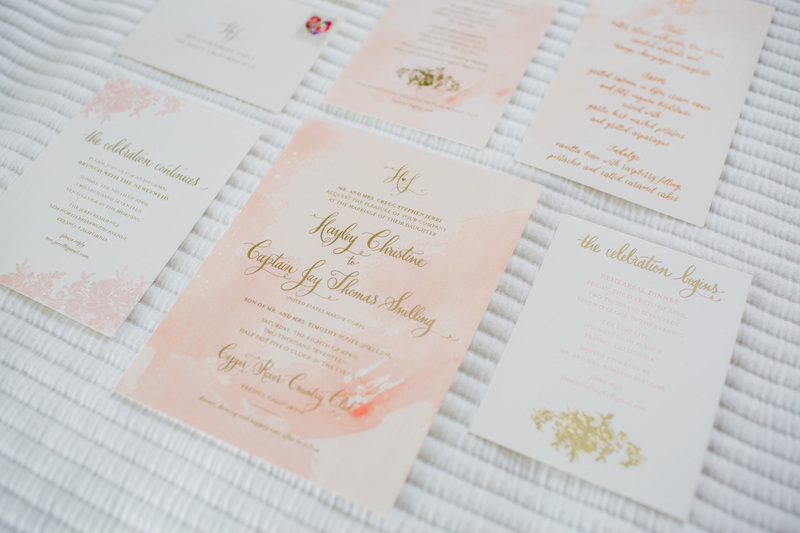 One of our favorite elements of the invitation is the fun pop of geranium edge painting. 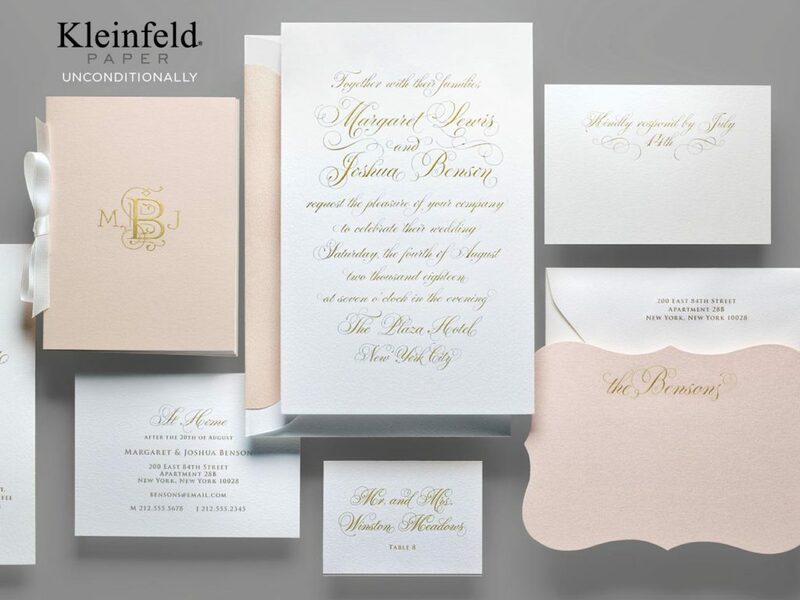 Below is the wedding invitation sample as originally designed. 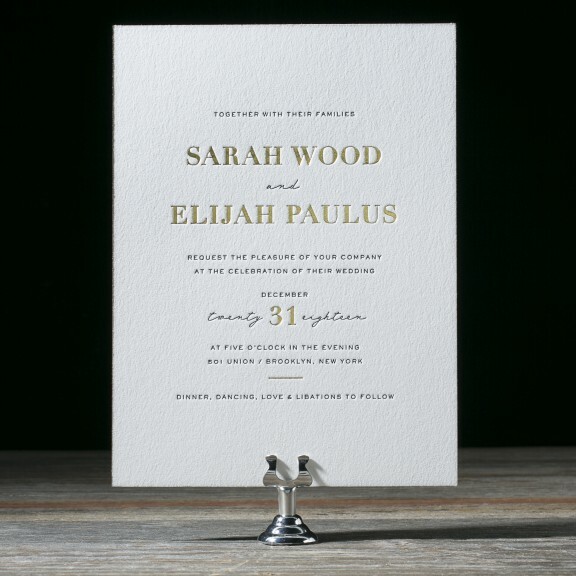 No matter what your style is, we can help you plan and design beautiful wedding invitations to fit your special day! Schedule an appointment using our online calendar or give us a call!